According to Gartner, agility (not cost) is the most important driving factor motivating private cloud computing deployments. If you have used a public cloud service provider and experienced a cloud-based service first hand, this is not surprising. Having the ability to get a server you need in minutes with the applications you need pre-installed is a huge change from the traditional way of ordering a server and waiting for days to have the server OS and applications to be installed. The term “cloud computing” has been one of the most over used terms in the last year. To understand what cloud computing can deliver, let me take a simple analogy. Remember the days when you had to physically visit a bank to get to know your bank balance or to transfer money between accounts? Internet and mobile banking has made it significantly easier for us to do the same today. The result – great convenience for you the consumer. At the same time, it also introduces operational efficiency for the bank – the bank can have fewer tellers. Cloud computing with its self-service interface promises to do the same. 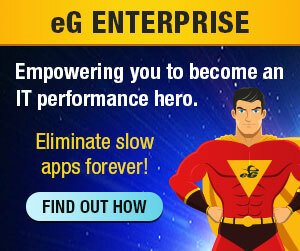 Users will benefit from the increased agility and the convenience to create the servers they need. The IT operations team will also benefit from having to deal with fewer routine enquiries. 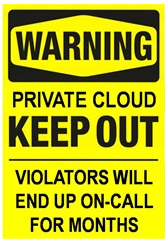 The challenge with private clouds is getting the IT team’s buy-in. The challenge though is that not many IT operations teams may believe so! According to Gartner, early adopters of private cloud computing indicated that technology is one of the least important challenges in building private cloud solutions. Much tougher issues are the cultural, process, business model and political issues! This is not surprising because IT administrators are likely to believe that role is being undermined by allowing users to self provision what they need. Gartner’s recommendation is therefore to focus first on the fundamental concept of turning IT into a service provider that delivers through a service catalog, leveraging automation and probably being paid by usage.